Chillblast's senior social media contributor and general computer game enthusiast Jamie gives us his feedback after a week of testing the brand new Steam Controller. Since Valve created this controller as part of their effort to make PC gaming on our sofas and big TVs easier, I was curious to see how well they’d implemented the idea of creating a handheld input system more akin to the good old mouse and keyboard. I should say that I never expected it to be on a par with traditional input devices, after all I don’t think I’d want to play a game like BF4 with anything else, but then that’s a game I’ll play on my own at a desk. When rapid aiming isn’t of the highest priority I can deal with using a controller though. The go-to controller for PC gaming for quite a while has been the Xbox 360 pad, that’s what I’ve been using myself, so as well as it being the obvious controller to compare with, it’s also the only one I know so that’s what I’ll be doing. Setting up the controller wasn’t too difficult, although cramming in the provided AA batteries was a tight squeeze. They sit inside the hand grips and help to even out the weight of the controller. The controller feels quite good in the hand although somewhat hollower than the sturdier 360 pad. The buttons are a bit louder and it will take some getting used to the different layout. In the first couple of days, I often found myself glancing down to check if I was hitting A, X or B, Y but as the week went on I certainly began adjusting to it. I particularly like the paddles underneath, I didn’t press them accidentally much (apart from in Bit Trip) and the trigger buttons are dual stage with a nice amount of pressure control; great for racing games etc. You’ve probably heard a lot about the trackpads and haptic feedback and how customisable this controller is, so I don’t want to go into great detail, I’ll leave that to the expert reviewers. I’m one of those people who has ‘a few’ unplayed games in my Steam library, but a lot of them are games I know my wife would enjoy playing with me, so I’ve saved them. She’s not too keen on sitting cooped up at a desk, hunched over a mouse & keyboard though, and prefers a more casual gaming session on the sofa. Now we already tried to play Alien Isolation via In-Home Streaming a little while back, but I was getting quite frustrated trying to play it on the Xbox pad, knowing all the while how much better the experience would be with a mouse and keyboard. 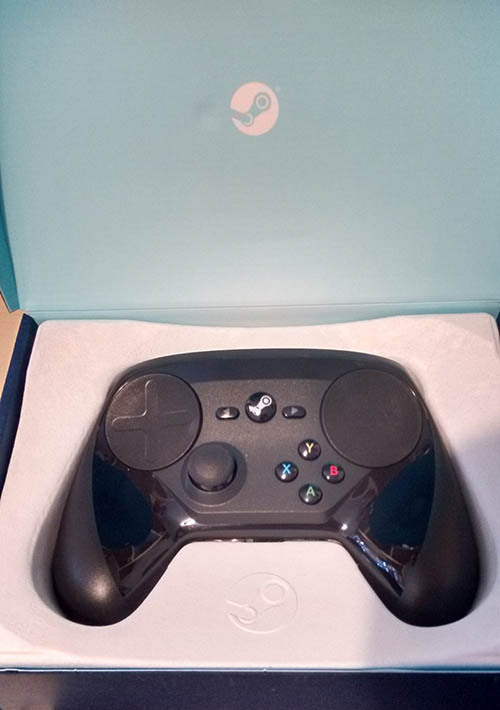 This scenario is what interested me in Valve’s new controller and my wife pre-ordered it as my birthday present back in May, (we both knew it was just as much for her). Upon first launching Big Picture mode, I easily followed the instructions to pair the controller to the dongle and the drivers installed with no fuss. Navigating Big Picture mode was responsive and my initial thought on using the trackpad for the first time was the obvious one – ‘it’s pretty similar to a laptop's touchpad’, but with more accurate acceleration and of course, that haptic feedback. I found it a little under-sensitive for my liking, but that’s easily adjusted in the settings. The games I tested with: Alien Isolation, Portal 2, GRID 2, Rocket League, Total War: Shogun 2, Bit Trip Runner 2 and XCOM: Enemy Unknown. I also let my wife try it out Alien Isolation and my son (7-year-old) played Lego Star Wars 3. I've separated each test into the subheadings below. Upon first loading I was invited to set up the controller either by customising it myself or choosing recommended or community profiles. This is likely to happen each time a new game is started up with the Steam controller connected. I chose an already popular community option. Taking my first tentative steps around Sevastopol, I immediately noticed the more fluid movement in looking around compared to the Xbox pad's analogue stick, but still knew it was no mouse beater straight away. However the more I got used to it, the better it felt, and I was enjoying the game rather than lamenting the absence of my trusty mouse. I handed it over to my wife who’s only ever played this game with the Xbox controller. She took to it quite quickly, moving around more freely than I’d seen her before, rather than the almost stop-frame animation style of play I witnessed when she was using the Microsoft pad. Like me, I noticed she was glancing down at the A, X & B, Y buttons a bit too often though, which isn’t great if you’re in the panic mode frequently induced by this game! It’s a different layout than what we’re both used to, so only time will tell on whether we will eventually get used to it. I noticed that my wife used the trackpad differently from me, she would take her thumb off and keep moving it back as if using a trackball. My thumb rarely left the pad, resulting in smoother movements in the game. After we’d both played for a couple of hours, we became quite accustomed to it and agreed that it was easier and more enjoyable playing Alien Isolation with the Steam controller than the Xbox pad. My eldest lad loves his Lego games, and he was keen to get on with the Steam controller and have his say in my testing. I was worried that he may find it uncomfortable to use, but then I tend not to let him play for too long anyway due to his age. He wasn’t bothered about the differences at all, and took to it with great ease moving and looking around very smoothly. He discovered he could use the paddles underneath as A & B and switched to using them and never went back, which I was surprised at considering he’s so used to the Xbox pad. It quickly became apparent how much louder and ‘clackier’ those paddles are. So much so, that I was becoming irritated with the noise after about 5 minutes. He played for about 30 minutes, happily ‘clacking’ away whilst I sat there clenching my teeth but trying to smile! Being a Valve game there were already some suggested profiles to choose from and again I just chose the most obvious one. I’d not been back to this game for a while. I suppose for the same reason as many others, I was stuck! Funny how a fresh look at Portal 2 levels actually helps though, I managed to get comfortable with the controls quite quickly (having only ever played this with a mouse and keyboard previously) and breezed through the stage after a few minutes. I can’t make any comparison to how this feels versus the Xbox pad because I never played Portal 2 with it, but since this is the type of first-person game that doesn’t require rapid reflex aiming so much, I found it pretty easy to play and enjoyed the game. Once past the controls selections and a bit of tweaking, it didn’t take me long to decide that I still preferred the analogue stick to the trackpad for steering. To be fair, I should also mention that I recently started racing using a steering wheel & pedals set – so not really a fair comparison! I used to play this game with the Xbox pad though, so perhaps that’s why I quickly defaulted to using the stick. If you were to play a racing game for the first time using the Steam controller, perhaps you’d get on better, but it’s just what I’m used to personally. The trigger buttons felt really good though and the pressure sensitivity in them seemed spot on for me. This was a similar experience for me as I had with GRID 2, simply because I am already so accustomed to playing this game with a 360 controller. I imagine if you started out with the Steam pad from the get-go in Rocket League then that’s just how you’d learn the game and get on with it, but I just couldn’t enjoy the game. I noticed I was looking down for buttons again, probably due to the aforementioned 360 layout, but in a frenetic paced 3-on-3 match, this was not good. Maybe I should have customised the buttons better and taken time to adjust, but then for the first time with the new pad I noticed my hands aching after about 30 minutes use, possibly because I was gripping harder due to the faster action. (Please note, these game tests had substantial breaks between them of either hours or days). I was getting a bit annoyed at being a bigger noob than usual, so moved on! I’ll be honest now, this isn’t a game or indeed game-type I play a lot of, but for the sake of testing I came back to it after a couple of years away. That could be why I found the Steam controller to be quite usable for this game, it’s been ages since I played it with mouse & keyboard anyway, so it was almost like learning from fresh. To reacquaint myself I played through some of the tutorials and was able to get through them quick enough to not get frustrated but at the same time I was quite mindful that experienced Total War players would likely rue the absence of mouse & keyboard. I suppose it depends on how much time you’d be willing to invest if you really wanted to play this on the sofa. My wife and son like their platform games more than I do, but I have to admit this is one I throw on from time to time just for a change. So again, it’s a game I’m well used to bashing away on the Xbox controller with. This time however, I can honestly say I could play this game with either pad equally well. I’d recommend un-mapping some buttons that you don’t use though, as I found myself sometimes hitting the duplicated jump and duck buttons on the paddles in error. I’ve had a little break from this game lately, but mouse and keyboard is certainly the ingrained control method of choice for me on this one. There were around 9 quite popular community profiles to choose from at the time of testing XCOM, after initially going with the most popular I soon changed my mind and picked the second one. It was then I realised one problem I was having with the Steam controller – relying on community published profiles! Having previously spending an hour adjusting to the buttons and control method applied for Total War, I was now trying to get used to quite different layouts for a game that essentially also requires a lot of ‘point & click’. It dawned on me that perhaps it would be better to build some sort of base profile for myself, and then map each games buttons in some sort of standard that could be applied to different game-types. Is the high customisation available a blessing or a curse? 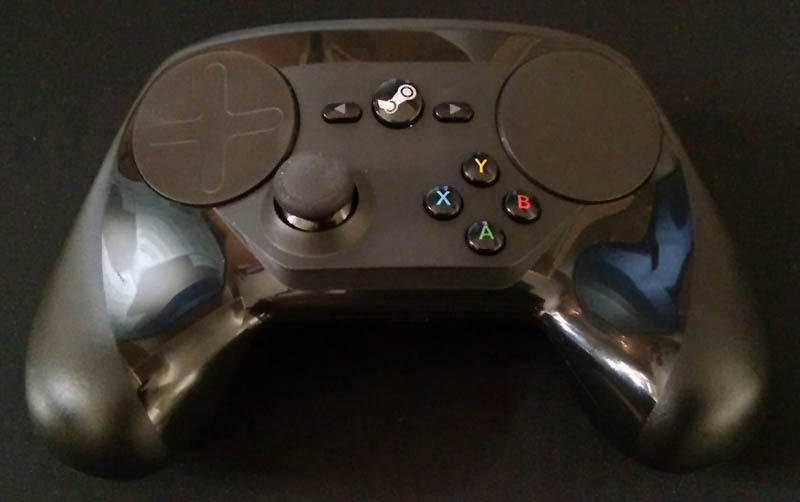 I think that depends on how much time you’re willing to invest in making the Steam controller bespoke enough for your tastes or how lucky you are in choosing the right profile. Once I was happy with my chosen layout, I played for a couple of hours (and admittedly got right back into XCOM), and to a level that I felt was enjoyable enough to not miss my trusty mouse and keyboard too much. Veteran XCOM players may find it too much of a transition though. I think satisfaction with the Steam controller will largely depend on two factors. 1. The expectation of the controller’s capabilities. Yes, it can be better than an analogue stick controller such as the Xbox 360 pad. No, it’s never likely to be better than the PC gamers much-revered mouse and keyboard combo.  ...and how much time and effort you invest into sourcing profiles, customising the controls and adapting to what is obviously a quite different input method than many of us are used to. 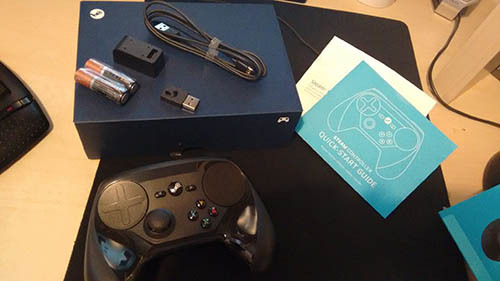 If you already play a game and play it well with a familiar controller, you may not want to switch, but if you start a new controller-friendly game, or if your games are more ‘point & click’ or require more precision than an analogue stick can provide, then I have no qualms recommending the Steam controller. Not as a replacement for the Xbox pad or mouse & keyboard, but as a supplement that sits somewhere between the two. When it comes to sofa + big telly gaming I can see the potential, and Valve are already committed to making improvements with the help of the PC gaming community. With this in mind, it’s understandable if you wish to hold off acquiring a Steam controller for now, but personally – I’m not disappointed.